Man, oh man. 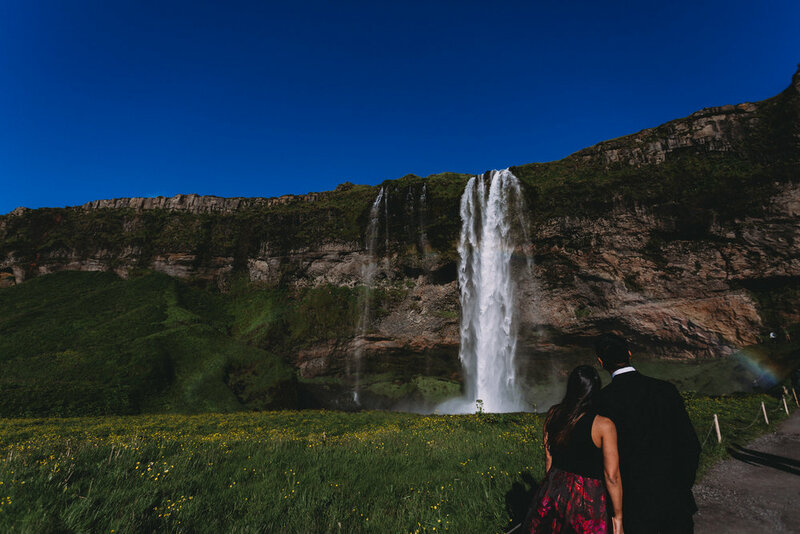 What can't I say about this Secret Proposal in Iceland? 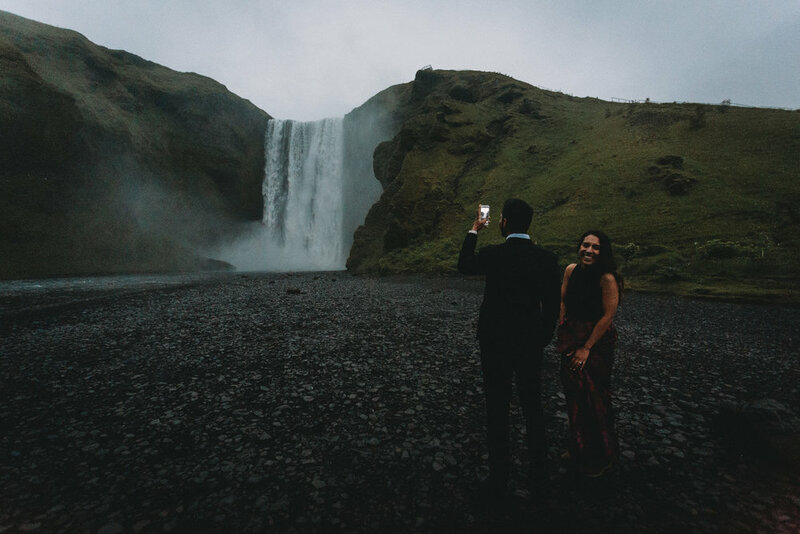 He proposed IN FRONT OF A GLACIER after Adventuring along the Iceland South Coast for six hours with me, and she had no idea I was photographing their night. 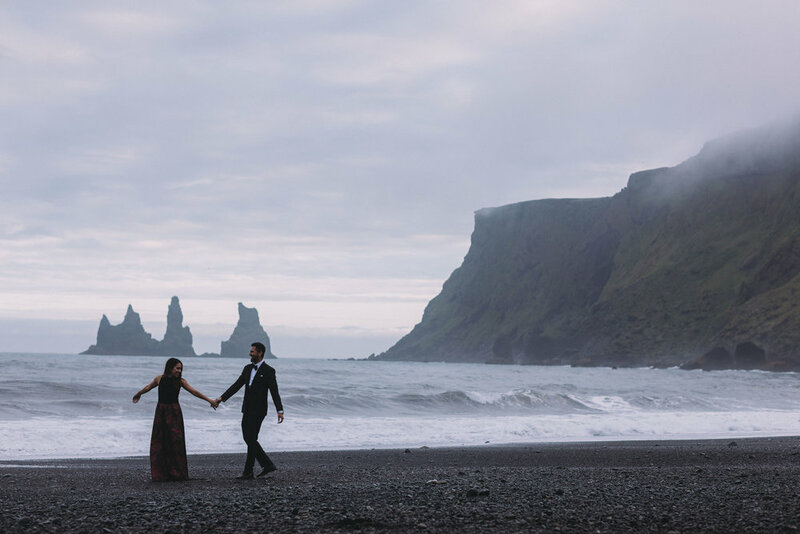 As an Iceland Elopement photographer, this is EVERYTHINGGGGG I live for. I love this stuff. 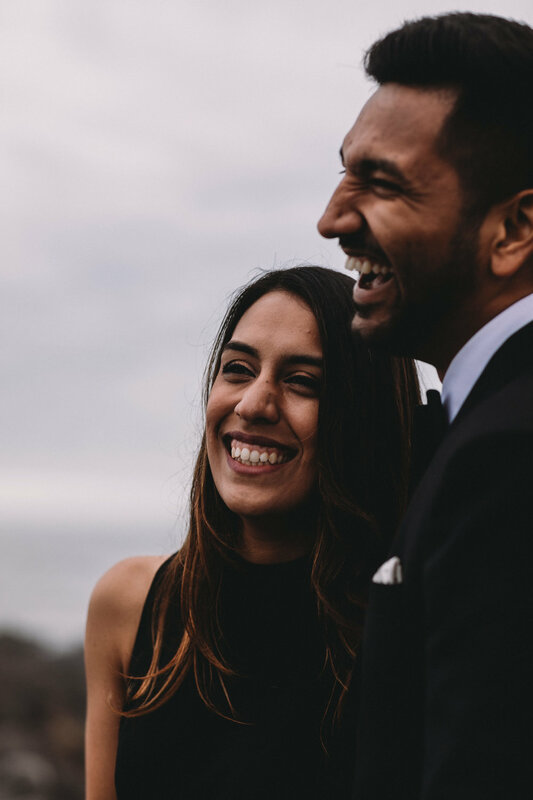 I got to plan the entire adventure from where to meet, how to get Tanya on board without letting her on to our plan, and where to go with a fully custom itinerary. 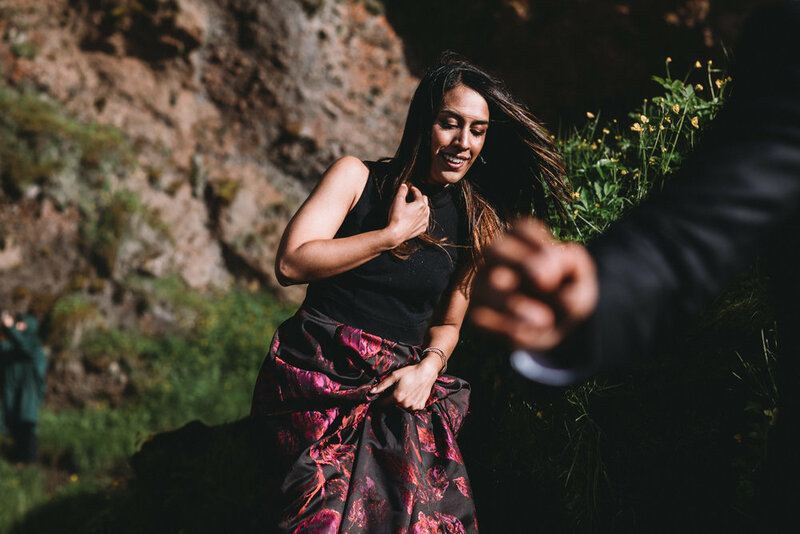 When couples come to me for Secret Proposals, I get really, really excited because they are one of my FAVORITE things to document, but I also know I have some added pressure to not spoil the surprise. They are also really important and sentimental, as it is the beginning of the new chapter in their lives. 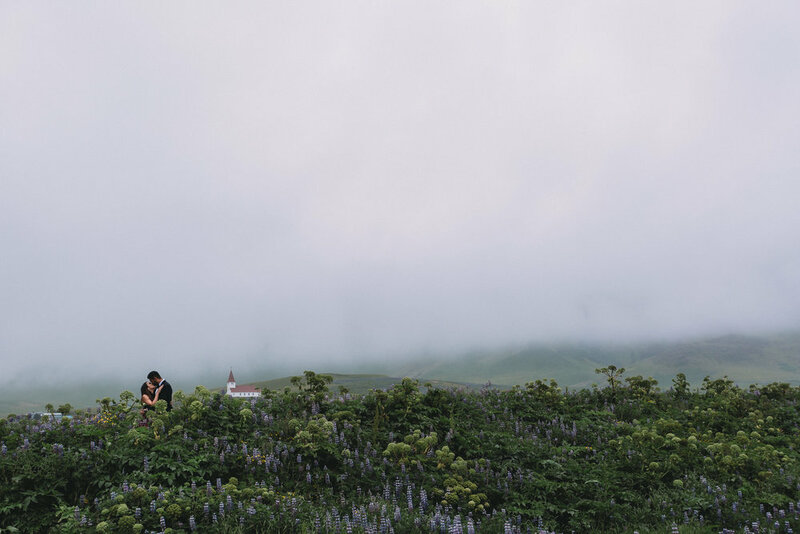 It is more important than a typical adventure session, so I want to make sure the locations are places the couple would feel something about, and not just be 'ok' with going. 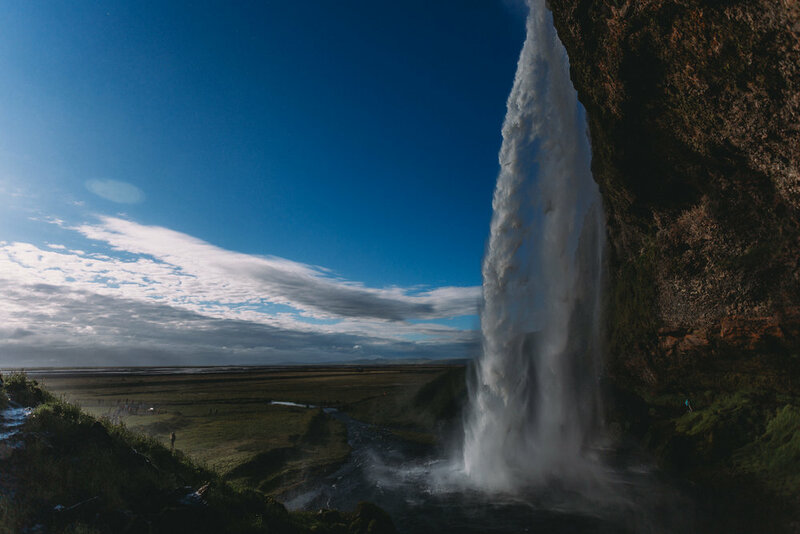 With input from Aansh and what he had in mind for what they both enjoy, I created the custom itinerary, told him to bring hiking boots and a rain coat, and met them at Seljalandsfoss along the South Coast. 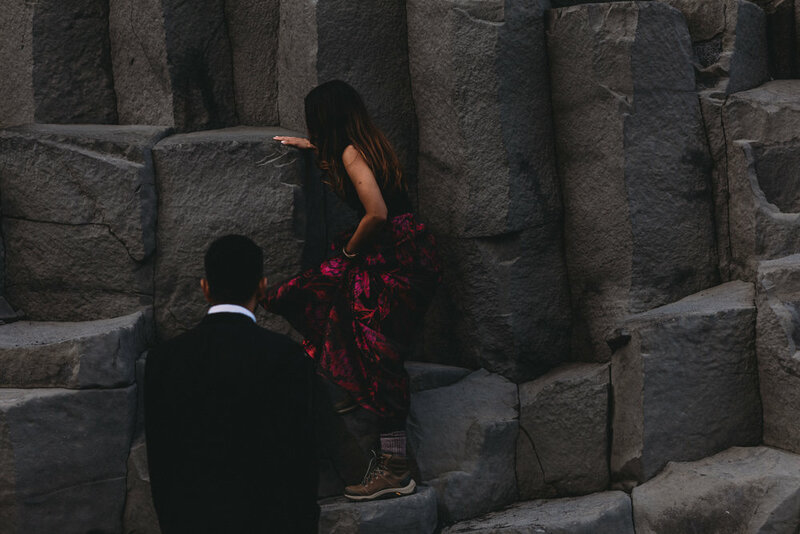 We planned it so he would take her to meet me after they had a fancy dinner in Reykjavík, (which is why they were conveniently dressed in amazing attire). 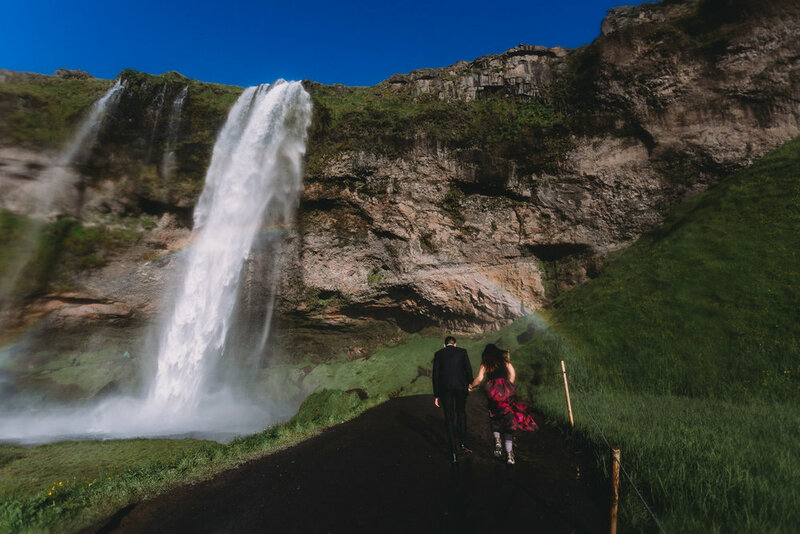 He told her he just wanted to check out a waterfall after dinner, she agreed, then off they went. We texted with each other to coordinate where in the parking lot we were, though finding him was not hard. 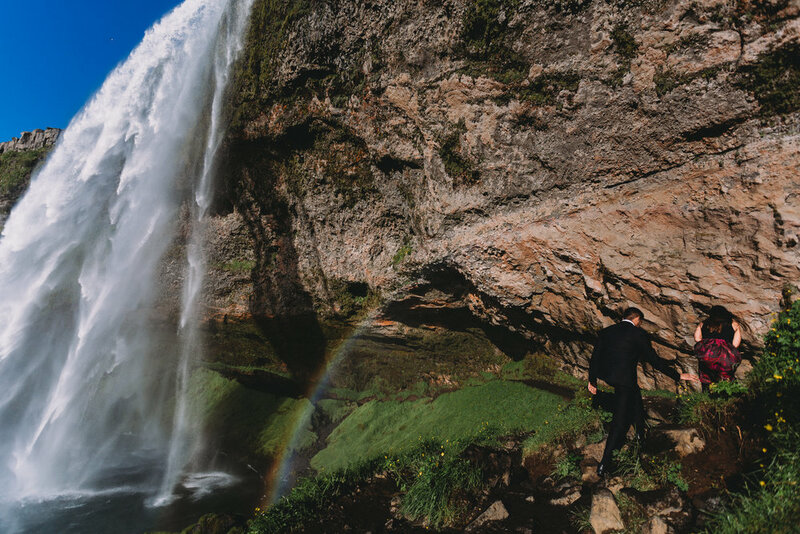 As you can imagine, it is not very common to have a man in a full tuxedo about to go hiking behind a giant waterfall. 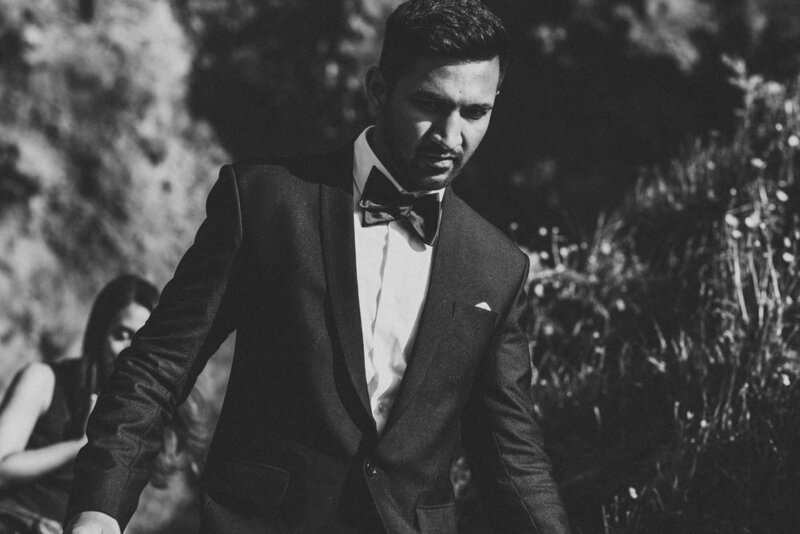 (Which, fortunately, he got the tuxedo back the day before our adventure session after the airline lost his luggage for a few days. YIKES!!) He met me in the parking lot, as Tanya stayed in the car because it was a bit chilly out and very windy (as Iceland does). Still, at that point, she had NO IDEA I was part of the adventure. I met Aansh, we walked up to the car she was in together, he opened the door, and the look on her face was priceless. It was total confusion, just exactly like I would want. I introduced myself to her, told her he hired me as a private photographer for the night as a surprise to her to give them really great photos they can't get on their own (which, really, IS the truth. 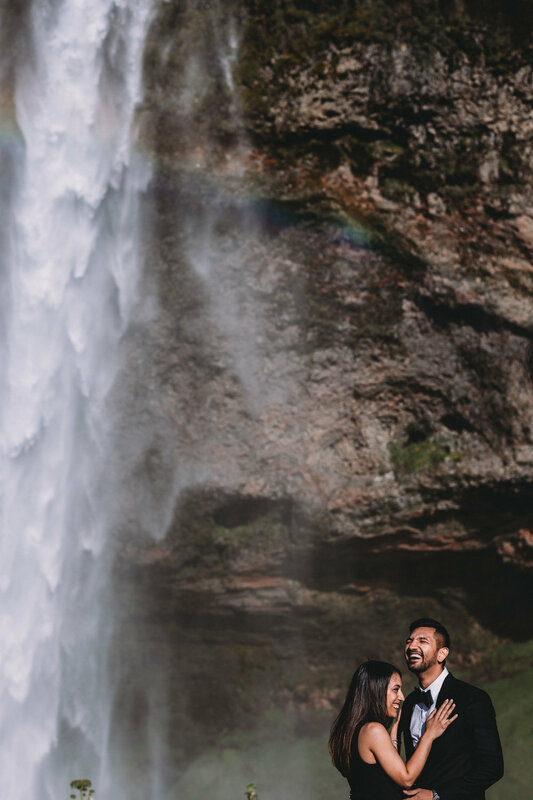 heh heh) and told her we were going to be adventuring far beyond this waterfall. She was confused, excited, and couldn't stop laughing. It was perfect. 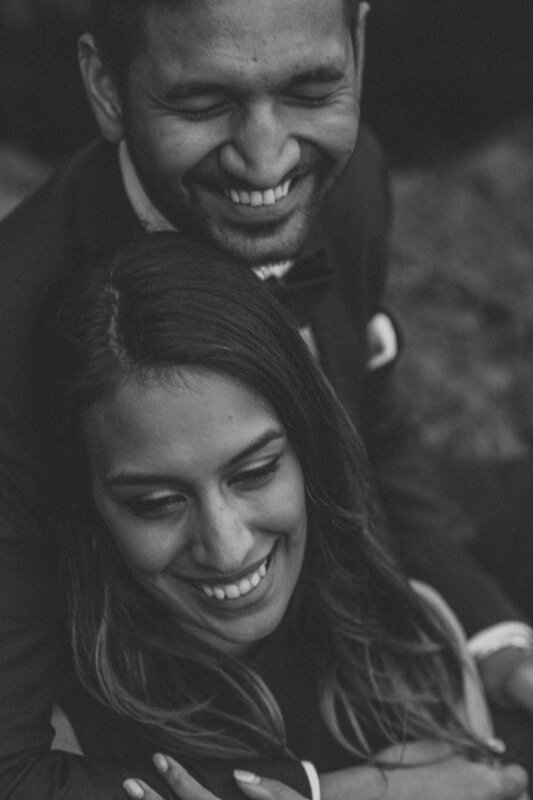 I didn't want to put pressure on Aansh, nor dictate when he proposed, as my job at end of the day is to be a documentarian. 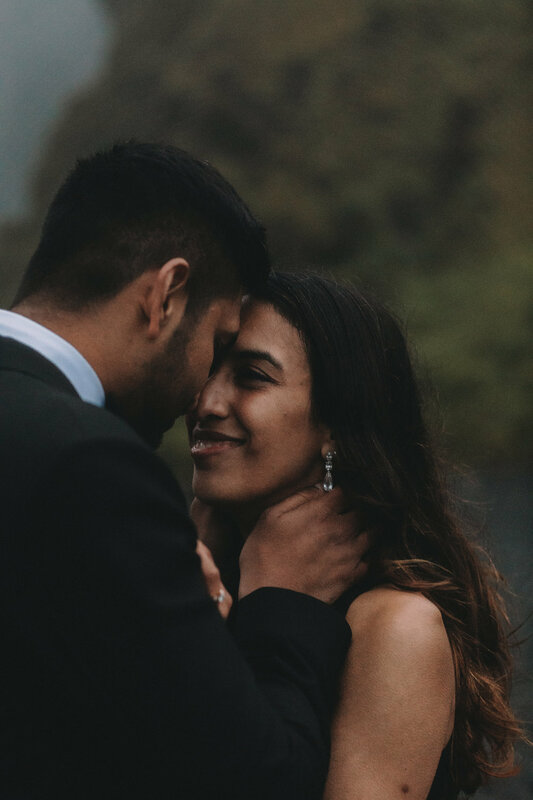 I am there to document what is happening and the love between two people. So because of this, we did not pre-determine where he would propose. 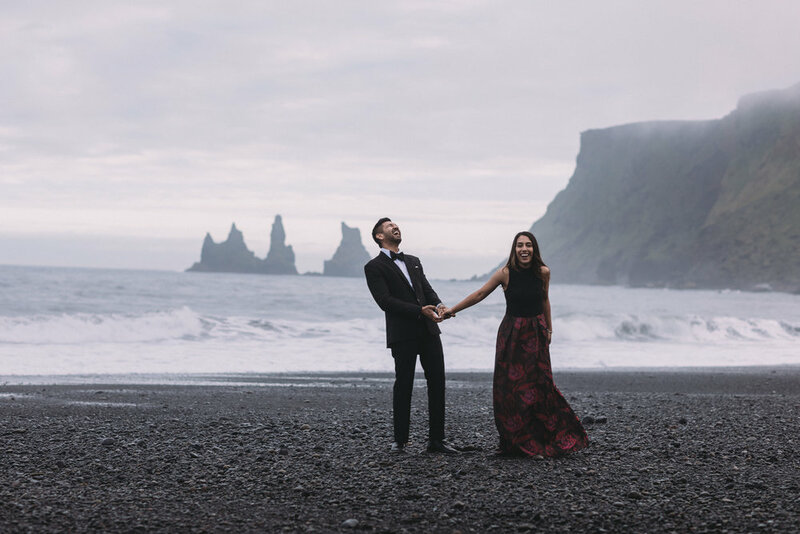 It was their first time in Iceland and so they did not know what all of these locations would look like and feel like when standing in them. 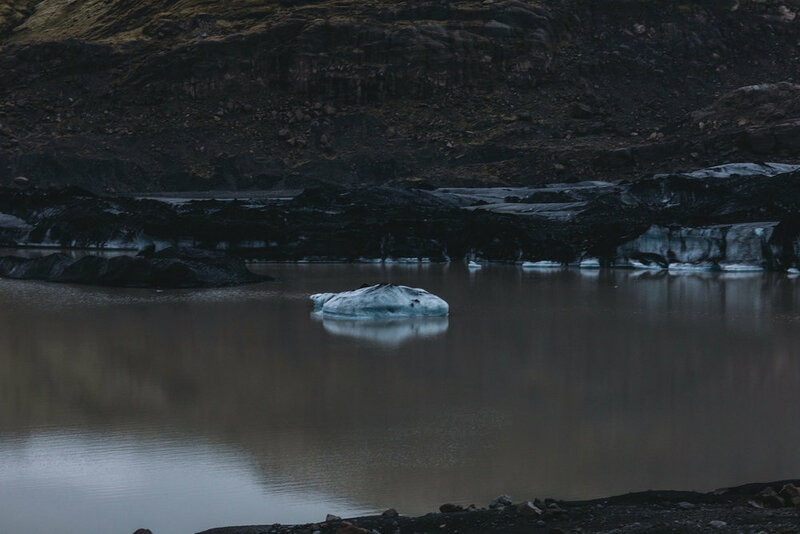 Each location feels differently, as Iceland nature is powerful. 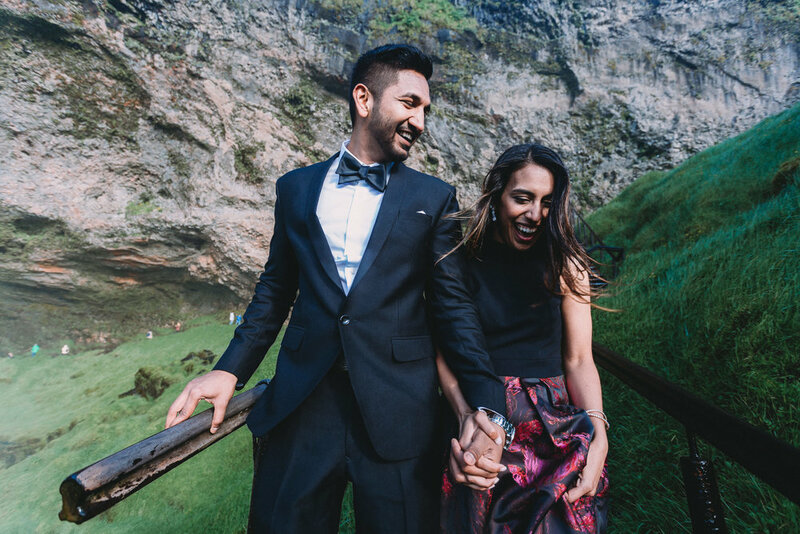 I told Aansh a code word to tell me once he felt inspired so I would know to place them how I needed in order to get the maximum amount of Iceland in their EPIC proposal photos. The weather was proper Iceland weather, it was sunny for about 15 minutes, then the low clouds came rolling up and the moodiness of the environment set in (which is my favorite, the sun is overrated). The rain even held off until the very end, when we were leaving Skógafoss to head back to Reykjavík. Because it is the summer, the sun didn't set completely the entire night. We started a bit late in order to have a better chance of getting away from the crowds, which worked out wonderfully. As you can see, we had Iceland all to ourselves practically, which made it even more special. 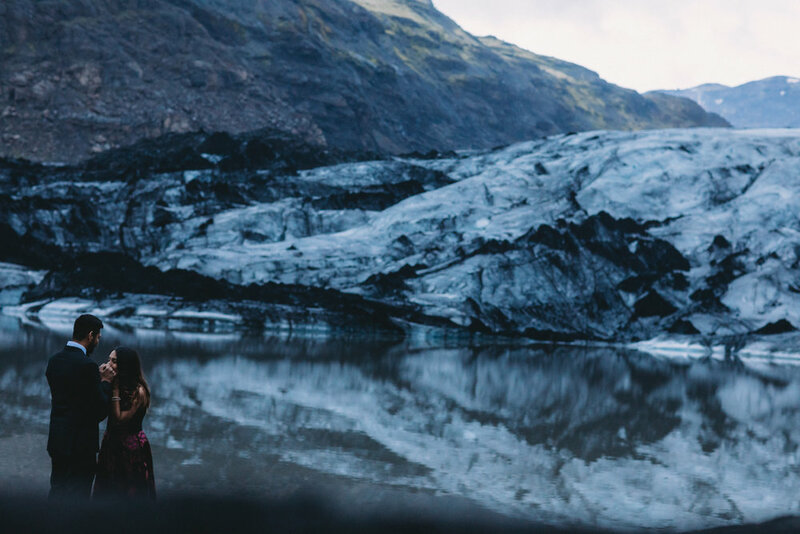 Aansh ended up proposing under the midnight sun in front of a glacier, with no one else around. 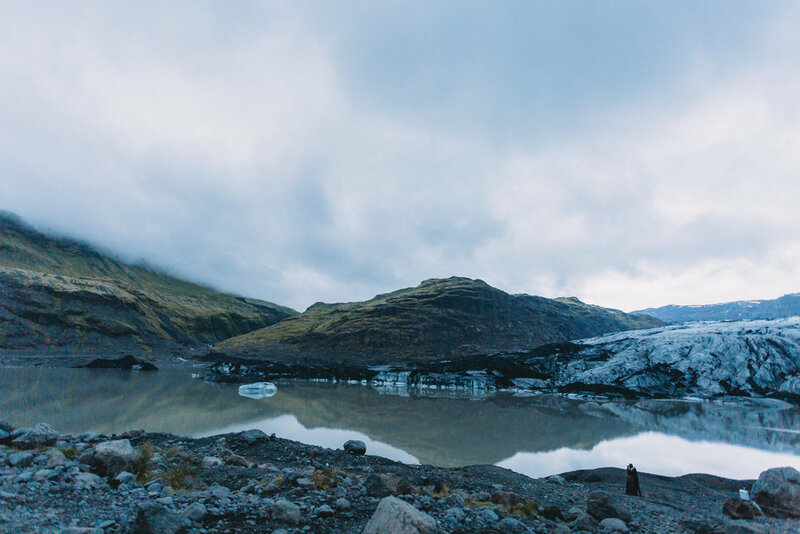 Glaciers are powerful and you can feel it in their presence. 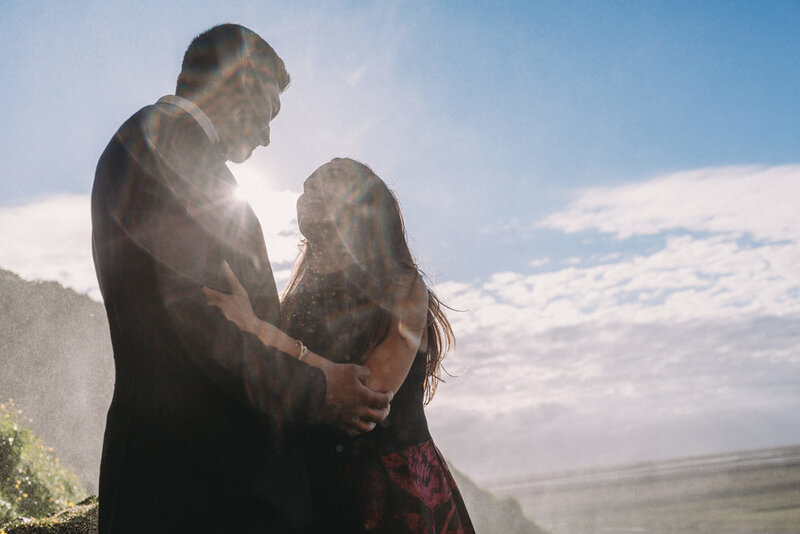 He knew this powerful spot was where he wanted to ask her to marry him, and I could not be more thrilled that is where he chose. As you can see, the photos are epic and they are the CUTEST couple together. We had so, so much fun and laughed the entire time, basically. I am happy to say I made two more friends and am excited to see where their life journey takes them. 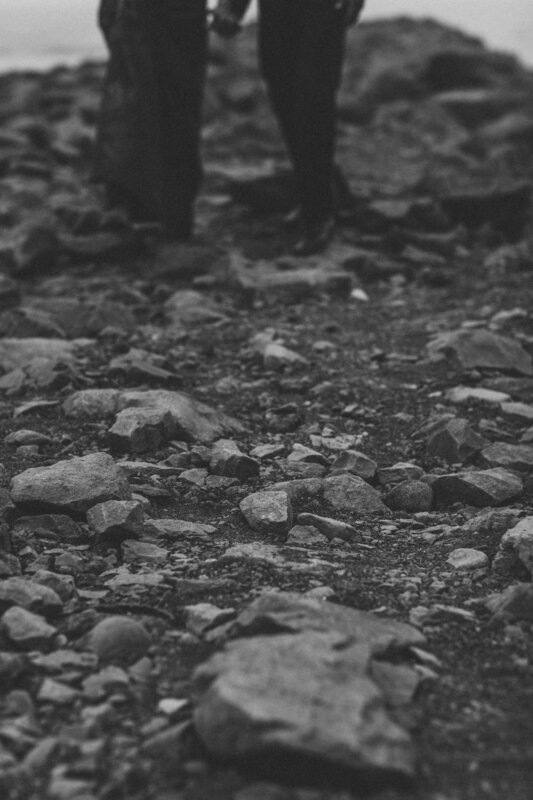 Want to see some more of my adventures in Iceland? You might like these!